Technical Pro's groundbreaking new approach to industrial design incorporates advanced technology and striking good looks with rugged construction and a long list of features, providing years of audio enjoyment. 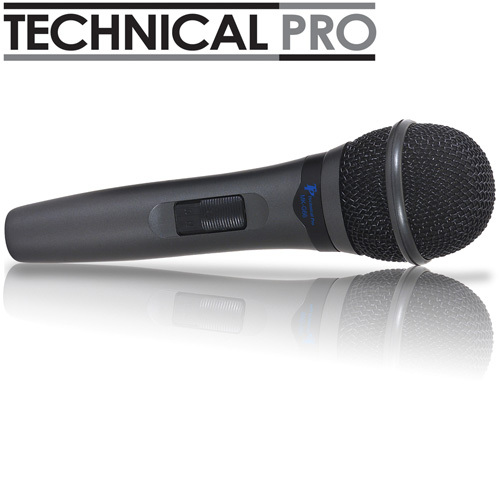 Address the crowd in style with the Technical Pro Wired Microphone which also delivers excellent sound. This gray microphone features a 15 Foot XLR to 1/4" (6.35mm) cable, Impedance: 600 ohms, Sensitivity: -72dB +3dB and carrying case.